-nominate 15 other great bloggers. 1. I together with my family do have 4 horses, two lovely dogs and a cat... My favourite is definitely my cat, her name is Pimpi. 2. I live in a small town that is not to big but a truly lovely place. 4. I would like to be a lawyer dealing with International Cases. 5. In my free time I like playing my giutar, collecting photos, deal with some fashion and being with my friends. 6. Tomorrow I am going to a Music Festival with my friends, I am looking forward to it so much. 7. As sports I like Thai boxing and gymnastics. 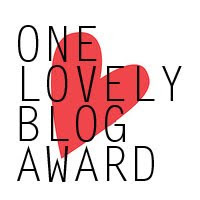 I nominate my "One Lovely Blog Award", those bloggers are all wonderful and stylish. Visit them! thankx for ur lovely comment and congrats on the award!! congratulation to all the blog !! !